Renewable energy is set to witness 10,000 megawatt (Mw) in fresh capacity addition in FY20, aided by project awards from central agencies and state-owned distribution utilities. By FY20, the share of renewable energy (RE) to overall power generation is tipped to rise to 10 per cent and further to 13 per cent by FY22, a report by ratings agency Icra stated. Renewable energy installments during the April-December period stood at 5,060 Mw, taking the country’s cumulative capacity to 74,080 Mw. The share of RE-based generation in the overall generation mix at the all-India level is rising, as seen from an increase from 5.6 per cent in FY15 to 7.8 per cent in FY18. This is owing to the large-sized capacity addition witnessed in the wind and solar power segments during this period, driven by policy support from central and state governments as well as the significantly improved tariff competitiveness of wind and solar power vis-a-vis conventional power sources. Despite the positive growth forecast, renewable energy sector, especially wind & solar segments remain exposed to near term challenges arising due to the cost impact of safeguard duty and rising interest rate, coupled with transmission network availability. The average bid tariffs discovered in the auctions for wind and solar power projects in CY18 has so far remained at Rs 2.6-2.7 per unit, increasing slightly from the low of Rs 2.4 per unit. This uptrend in bid tariffs was partly driven by factors such as cost headwinds arising from rising interest rates, increase in capital costs due to the imposition of taxes/duties, rupee depreciation against the dollar for imported equipment; and rising equipment costs. Notwithstanding these cost pressures, wind & solar PV (photo voltaic) energy projects are likely to remain cost competitive against conventional power sources. On the other hand, the viability of bid tariffs for wind and solar Independent Power Producers (IPPs) remains critically dependent upon the capital cost, long tenure debt availability at a competitive cost and PLF level. 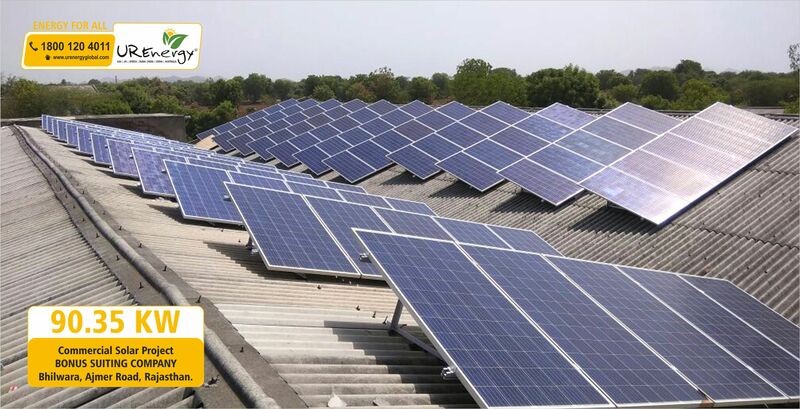 “Amidst the imposition of safeguard duty, the recent order issued by the Central Electricity Regulatory Commission (CERC) approving the GST claims raised by solar power developers is a positive development for the sector. However, a time lag in implementation of such pass-through of cost increases cannot be ruled out, given the resistance shown by the end off-takers in such cases in the past”, the Icra report noted.